Improving outcomes and opportunities for English learners is a key priority in Oregon. To realize this goal, it is crucial to increase educators’ knowledge and skills for effectively teaching English Learners and foster sustained partnerships between schools and ELs’ families and communities. 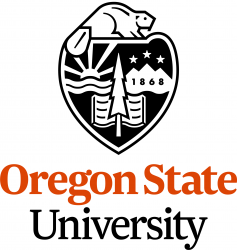 This unique program – TEAMS (Teachers Education All Multilingual Students) – provides teachers, from five school districts, the opportunity to earn their ESOL endorsement or Dual Language Specialization online, at Oregon State University.